We learned at today's presentation that the V10 will be available from AT&T, T-Mobile, and Verizon at a yet-unspecified date. Check out our full hands-on post here. 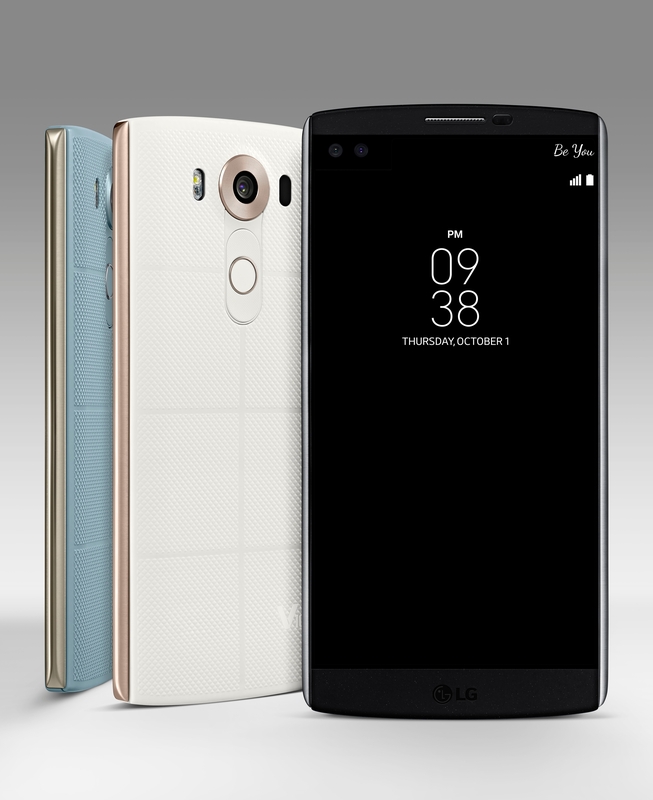 Mere hours ago we saw LG's new V10 phone leaked courtesy of @evleaks, and now LG has made it official. 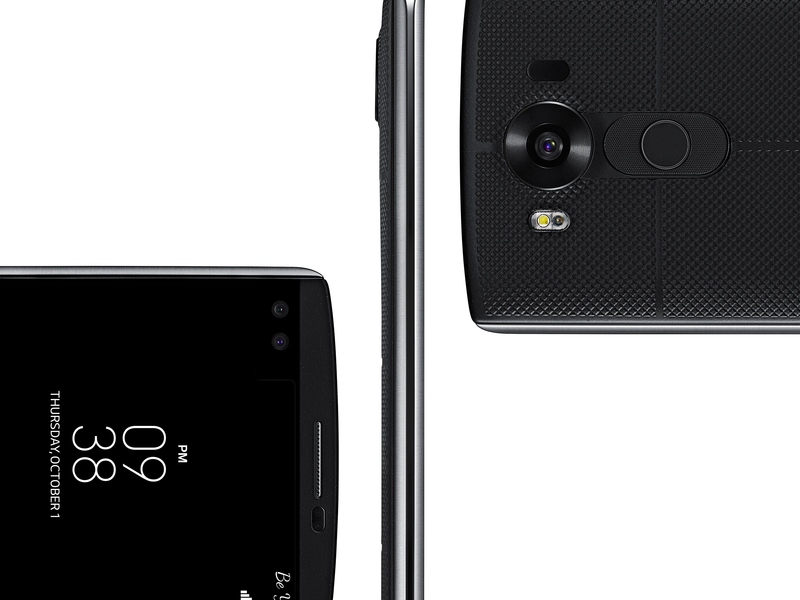 The V10, which will be shown off at an event in NYC tomorrow, has the hallmark characteristics we've seen leaked and hinted before - a dual front-facing camera setup and a secondary display along the top of the device. The dual front shooters, LG says, are for 120-degree selfies (or "standard" 80-degree selfies if you wish), capturing wide-angle photos with minimal distortion. The cameras can also be used as part of a new "multi-view recording" feature which uses all three of the phone's cameras at once. Around back, the phone's main camera has a new trick - manual video capture, giving users manual controls for taking HD, FHD, or UHD videos with more control. Meanwhile the secondary display (which lines up right next to the dual cameras above the main 5.7" QHD display) can be used in "always on" mode when the screen is off, or as a "dedicated launching area" for a few apps when the main display is on. The secondary display can serve other purposes inside specific apps - in the camera app for instance, certain controls live on the display. 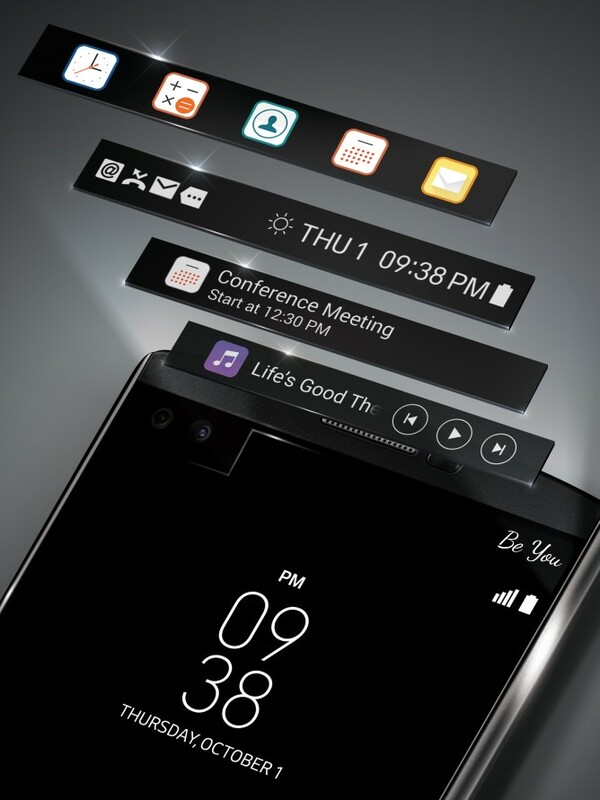 LG also points out that, while using full screen apps, the secondary display will show notifications to avoid interrupting your experience. Of course whether this bears out is questionable since the display is right above the main screen anyway, but we'll see the device in action soon enough. As for everything else? Here's a quick rundown of the specs, straight from LG PR. We'll be at LG's New York event tomorrow to get a first-hand look at the V10, but until then check out LG's full press release below. 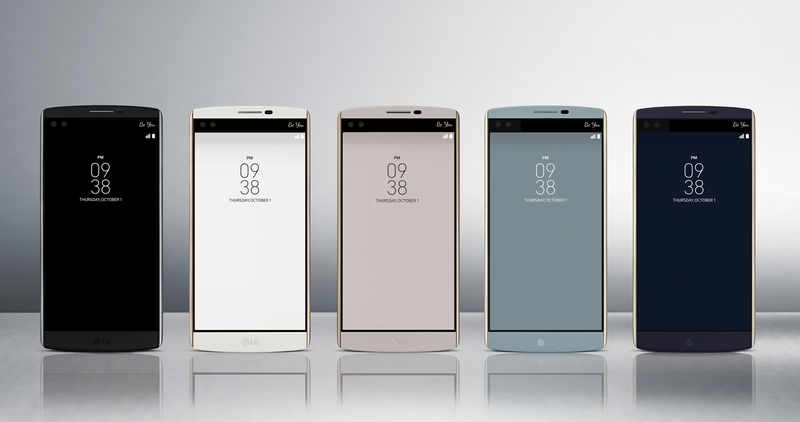 SEOUL, Oct. 1, 2015 — LG Electronics (LG) today took the wraps off its newest smartphone featuring multimedia capabilities never before seen in a mobile device. 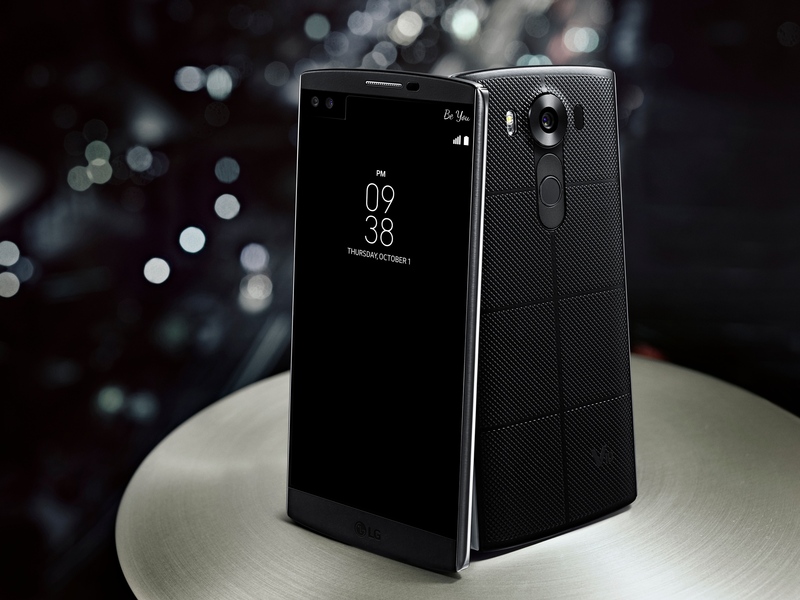 The first of its V Series phones, the LG V10 was designed to provide a rich multimedia experience — both consumption and creation — for today’s social network savvy consumers. 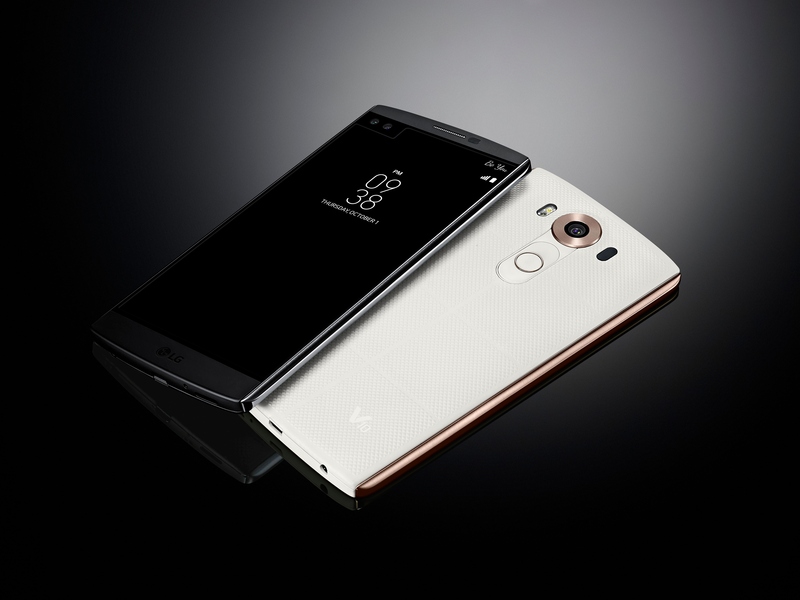 Distinctive new features such as a Second Screen, Dual Front Cameras and Manual Video Mode differentiate the LG V10 from the competition. All this comes wrapped in a design that utilizes high-grade stainless steel and a durable silicone skin to make the V10 one of the rare smartphones to pass drop tests for shock conducted by an independent third party. 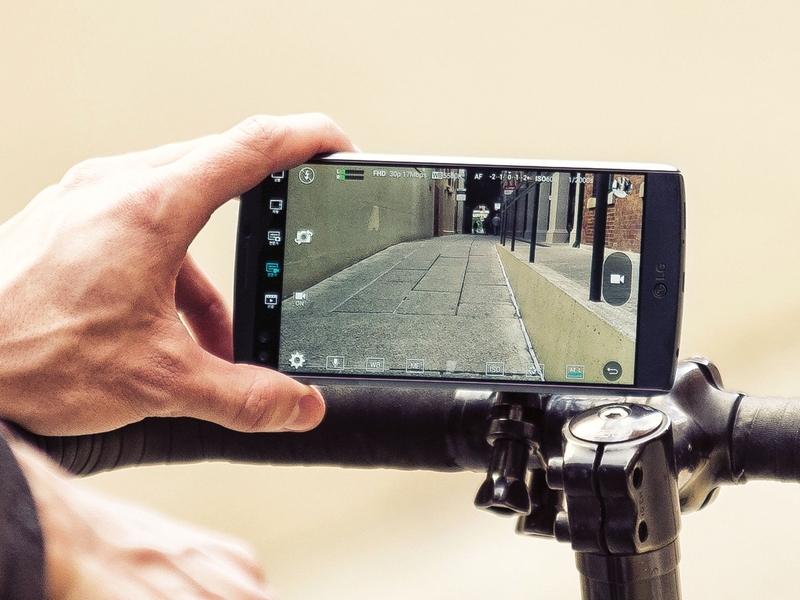 As the LG G4 did with photography, the LG V10 offers users the ultimate in video capturing, editing and sharing. 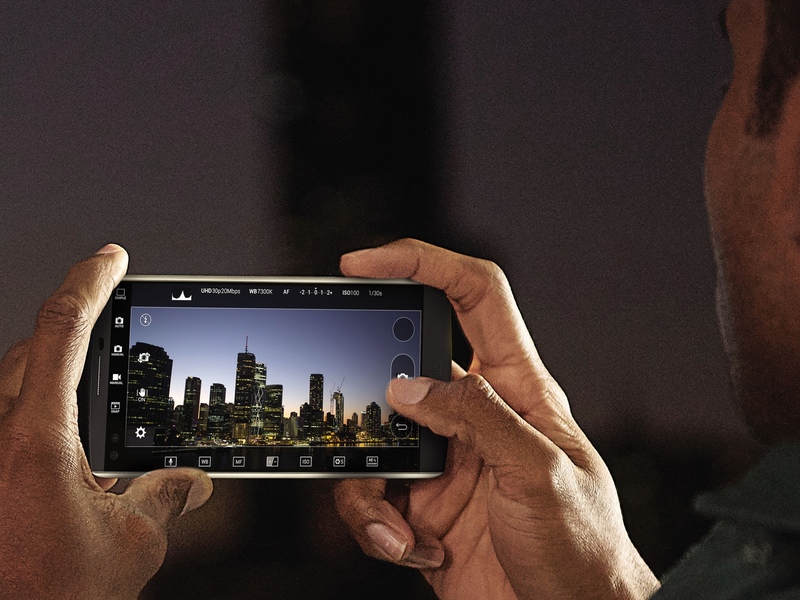 The V10 is the first smartphone to offer manual mode for video. First introduced for still photographs on the G4, the technology has been enhanced to handle video recordings as well. With Manual Video Mode, budding directors can easily create professional-quality videos by adjusting options such as shutter speed, frame rate, ISO, white balance and focus while recording. Videos can be recorded in three resolutions — HD, FHD or UHD — and two aspect ratios — 16:9 standard or 21:9 cinematic. 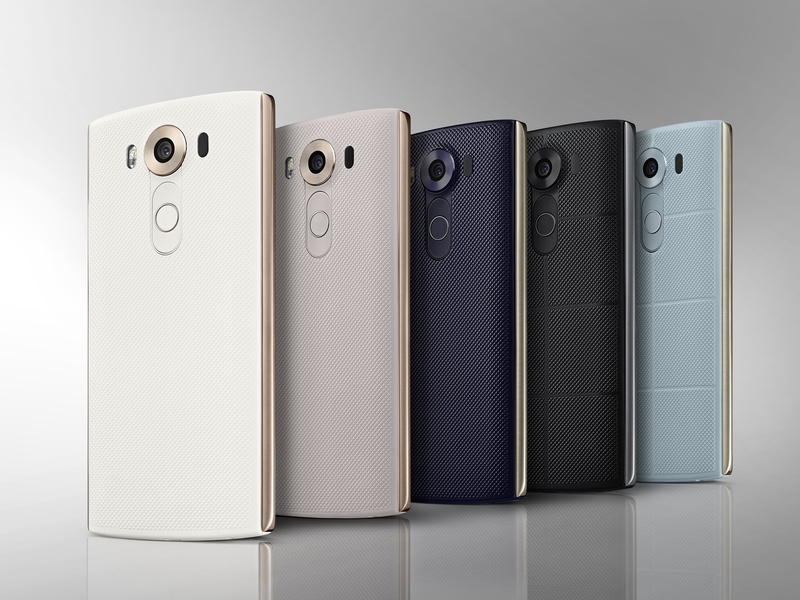 The V10 carries on LG’s tradition of providing alternative storage options with a microSD card slot. Compatible with cards of up to 2TB, V10 owners can shoot as much 4K video as they want. And with the 3,000mAh removable battery, you can always be ready with a second or third replacement battery to pop in if you ever run low on power while shooting. And with Qualcomm® Quick Charge™ 2.0 technology built-in, it only takes 40 minutes to get a 50 percent charge. * Specifications may vary depending on the particular market.